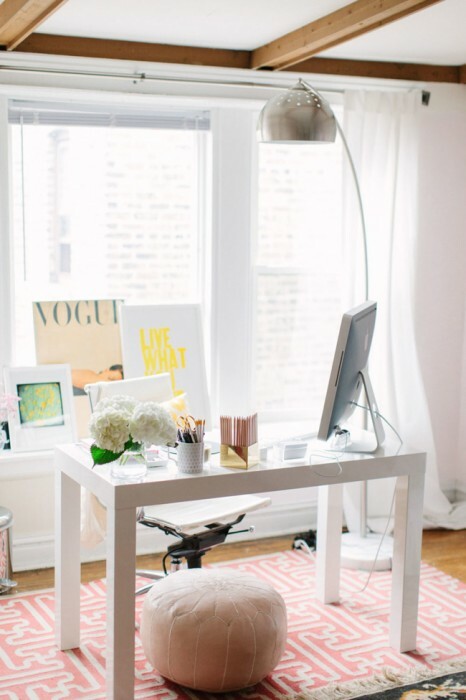 Read the following tips to have the best-dressed desk in your home office! Do you find yourself sitting at a desk full of clutter with stacks of paper and piles of books, or pencils, pens, and little desk accessories thrown about? While you’re busy at work, you shouldn’t have to worry about digging through your disorganized desk to find that one sticky note with the phone number you need or where you last put your planner. 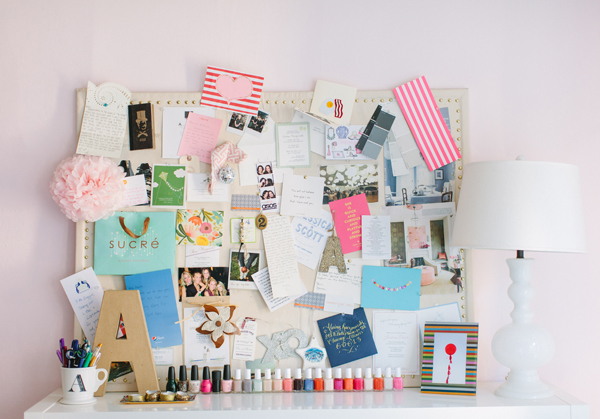 inspiration and a little help on your organization with these 12 tips on how to decorate your desk! Whether it’s soft neutrals, black and gold, or pretty pinks, the color scheme of your decor can define your home office’s style. Try mixing and matching your favorite colors to represent your personality while creating a bright and colorful desk space. Your desk at home is different than your desk at work – you can take an unconventional approach to your decor. 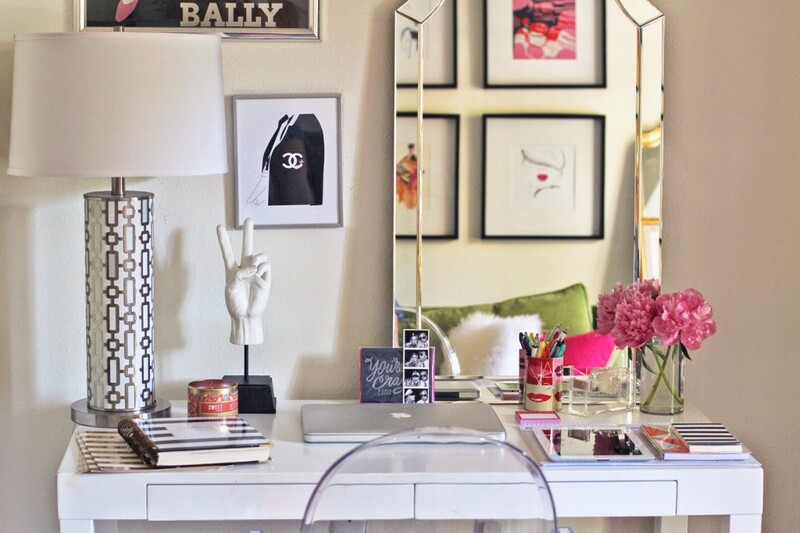 Add a large mirror as a decoration, for your desk to double as a workspace and vanity table. Keep your working days bright and happy by lighting your space with natural light. Decorating with white drapes and arranging your desk near a window is an easy way to boost your mood. Not to mention, white on white decor is simplistically beautiful. If you’re decorating a smaller desk, layer your decor and office accessories to save space while keeping it stylish. Decorating with plants or greenery is not only trendy, but plants in your office space have proven to reduce stress and sickness, and increase productivity and creativity. It’s a win-win! 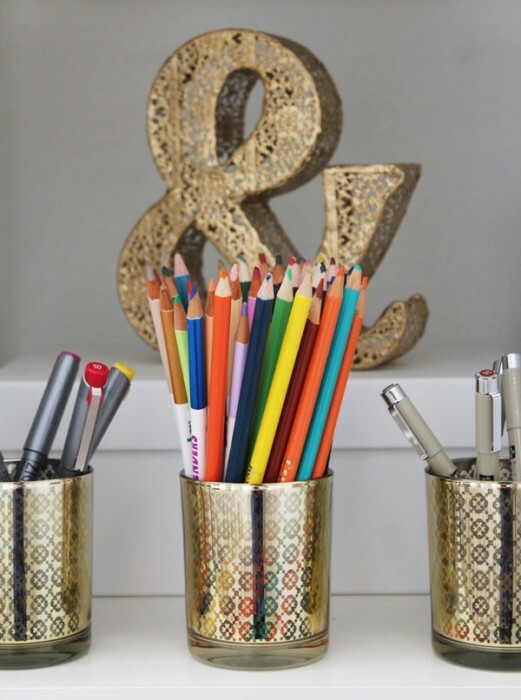 Give a place for every pen and pencil to live by decorating with cups, jars, or bins for a chic and organized look. 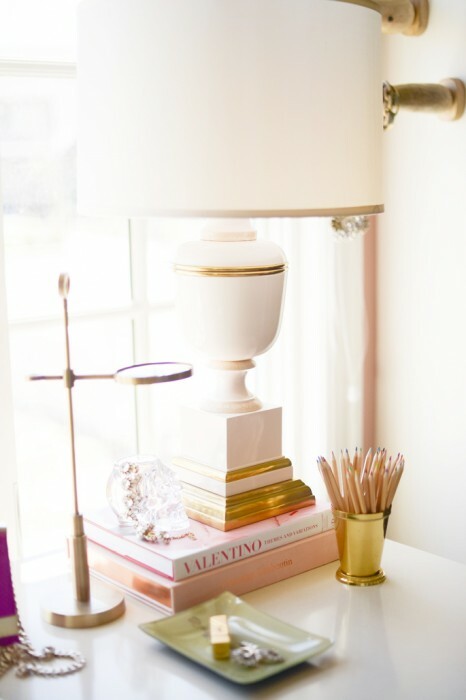 A chic desk would not be complete without gold accessories to glam it up! Get these little luxuries, here. 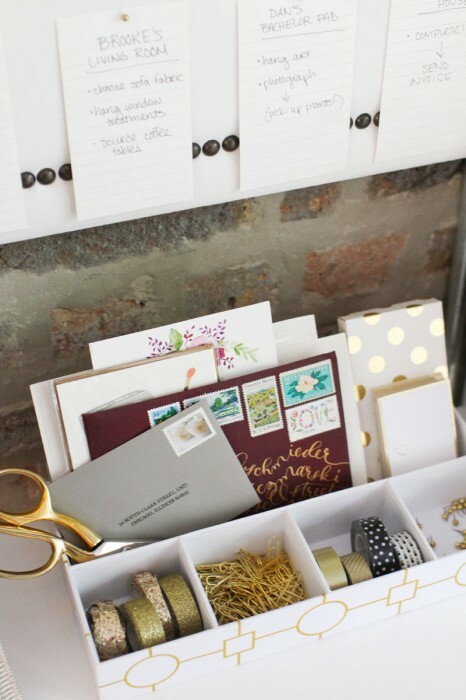 A desk organizer will keep all of your papers, cards, paperclips (and washi tape of course!) all in one stylish storage piece. For those of you who would be lost in this world without your planner, you know that choosing the right one that suits your needs can be tough. 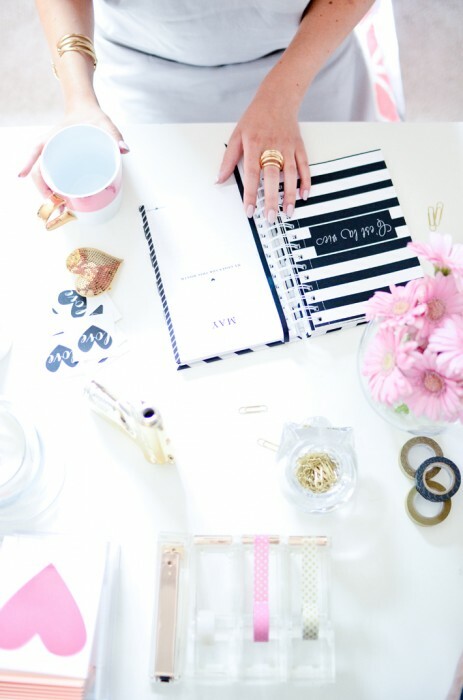 Stick with a stylish day planner for your desk that will make you look and feel fabulous like this Design Love Planner. 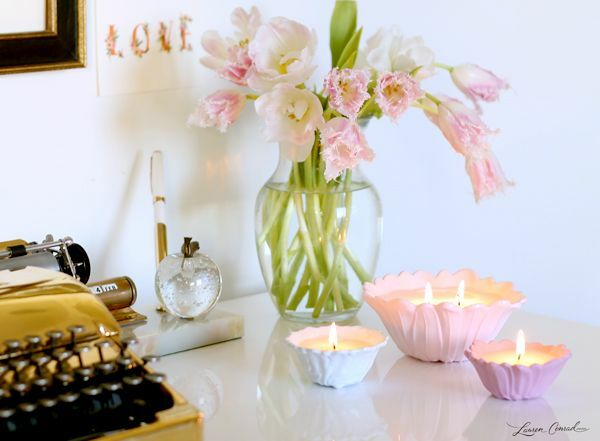 Stay inspired and productive in your work space by setting a few candles on your desk for an extra pop of pretty. 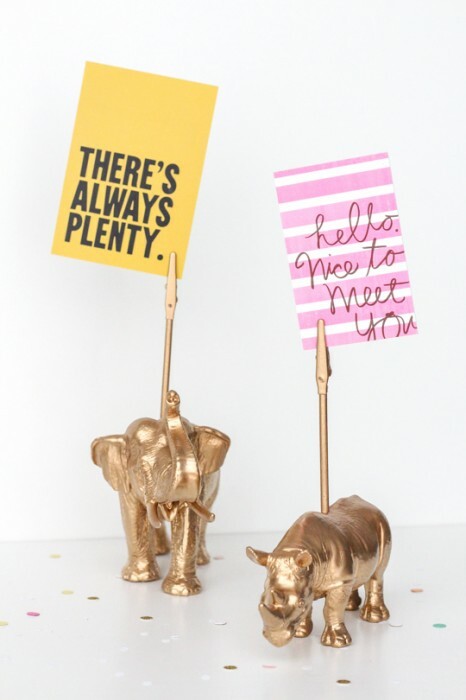 Spice up your desk with fun decor that you love (like these DIY animal memo holders) to keep your work station professional and entertaining. Pull your whole desk together by creating a centerpiece for your creativity. 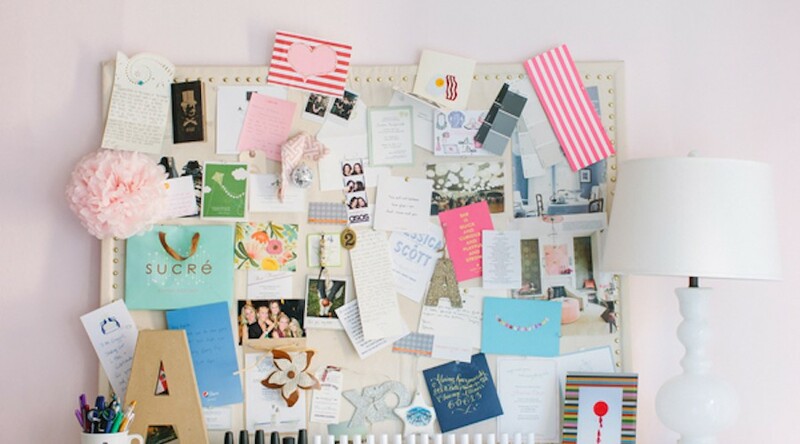 A vision board can de-clutter your desk while displaying your dreams, ideas, and inspirations. 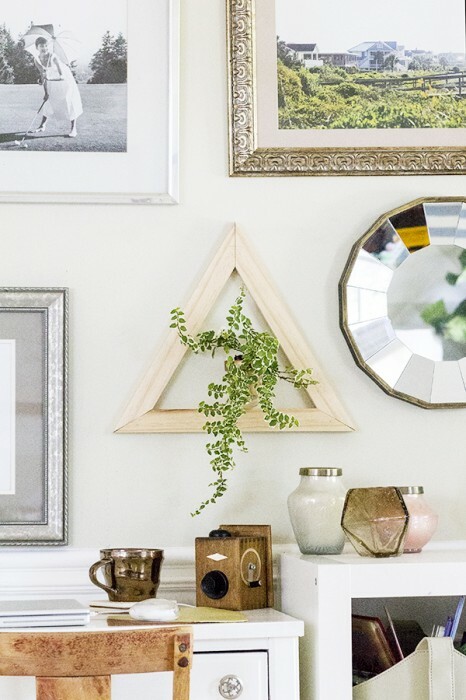 What is your favorite decoration in your home office or on your desk? Let us know in the comments below!